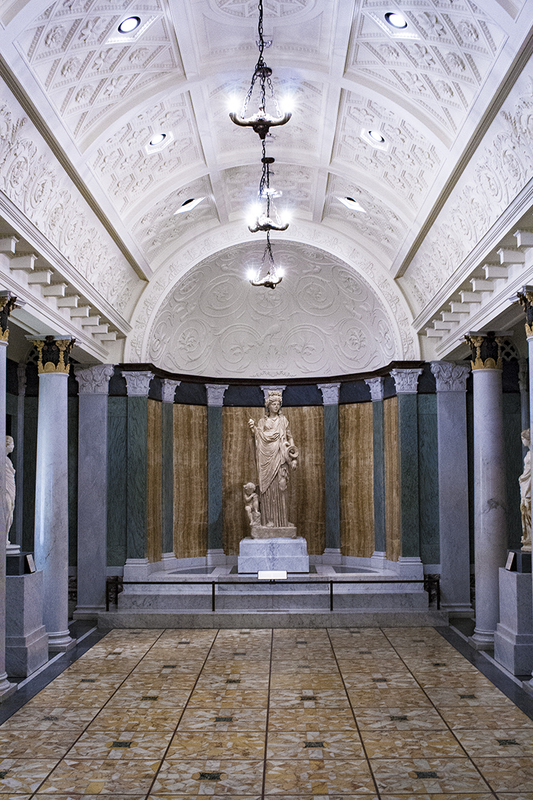 Outer Peristyle at The Getty Villa. 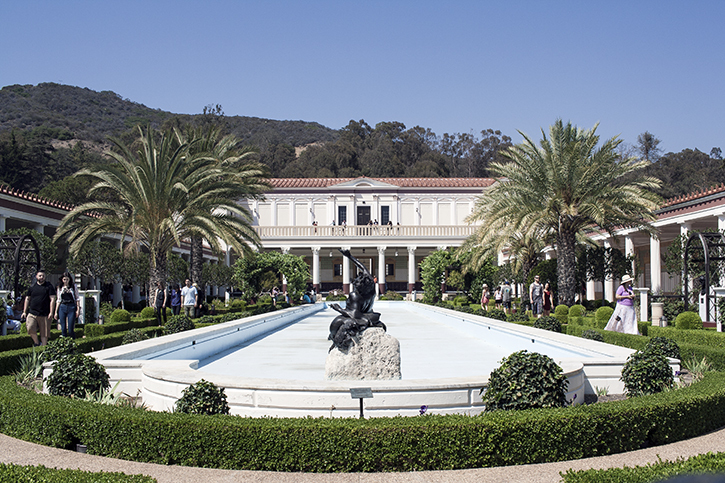 The Getty Villa is a free museum in Los Angeles that exhibits Greek and Roman art. My boyfriend reserved some tickets one weekend and we made the near hour and a half commute out to the Pacific Palisades neighborhood. The Getty Villa is a very photogenic museum and non-flash photography is allowed! I sometimes feel out of place lugging my DSLR places, but most people brought one so it was fairly normal on this day. 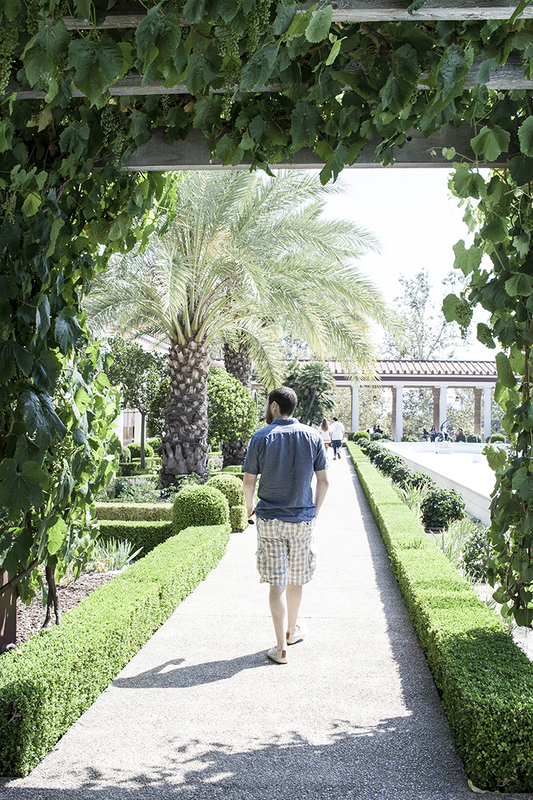 The Getty Villa has a lot of beautiful gardens - it was one of the key features that really drew me to the museum. However, all the fountains were empty because of the California drought and the only swath of water to be seen was the Pacific Ocean in the distance. 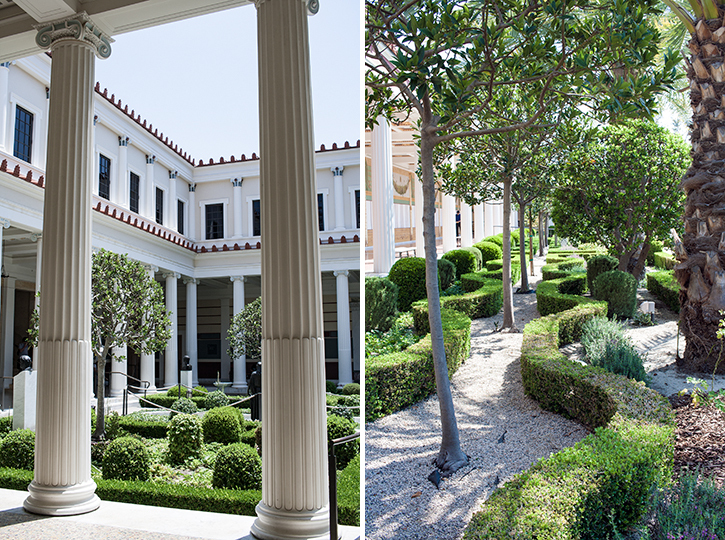 I loved the architecture in the gardens; the Outer Peristyle garden was framed by corridors that were held up by Greek inspired columns and contained bronze statues of gods. There was a lovely symmetry in the layout of the long, rectangular garden. A basilica featuring a Greek Goddess. I really liked the basilica that was constructed indoors which housed sculptures of muses with a Greek goddess as the centerpiece. I didn't take many pictures indoors due to the lack of natural lighting. I also prefer to just appreciate the pieces on exhibition. The craftsmanship of ancient jewelry, pottery, and metalwork always amazes me because I think of how people had to make these things without the aid of modern machinery and facilities. I took some sneaky candid shots of my boyfriend as he was walking through the gardens. He doesn't particularly like having his photo taken so I catch him when I can. I took this one as he was strolling through the ivy overhangs. 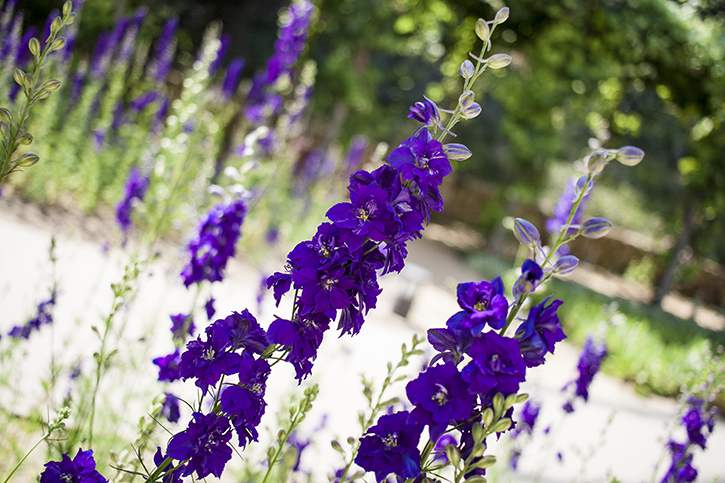 Despite how hot it was, the gardens were surprisingly breezy and relaxing to walk through. 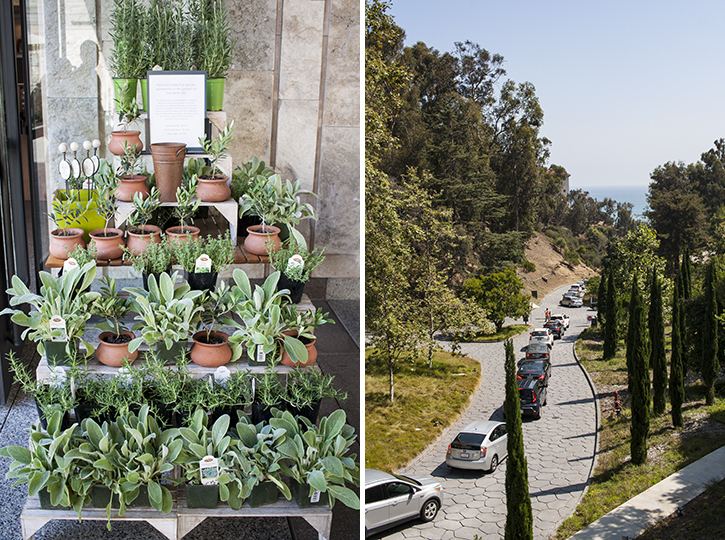 Our last stop was the gift shop which sold a variety of plants outside, including baby olive trees. We didn't get a plant, but I'm thinking of surprising my boyfriend with an olive or a banzai tree. Pretty soon after, it was time to take the winding drive towards the Pacific Coast Highway and begin our journey home. I've never heard of this place, but it looks stunning! All of your photos are gorgeous, but the basilica photo particularly stands out to me. What a lovely post! This museum looks awesome! I visited the other Getty place (Getty Centre?) when I was in LA but didn't make it here. What a stunning place! Your photos are so beautiful. The place looks surreal! Your photos show how beautiful it looks. Absolutely stunning! Adding it to my list of places to visit!